If you're a news junkie, you probably have quite a few news apps on your phone. Today, Microsoft is adding a new AI based news app for Android users called Hummingbird (via Android Police). 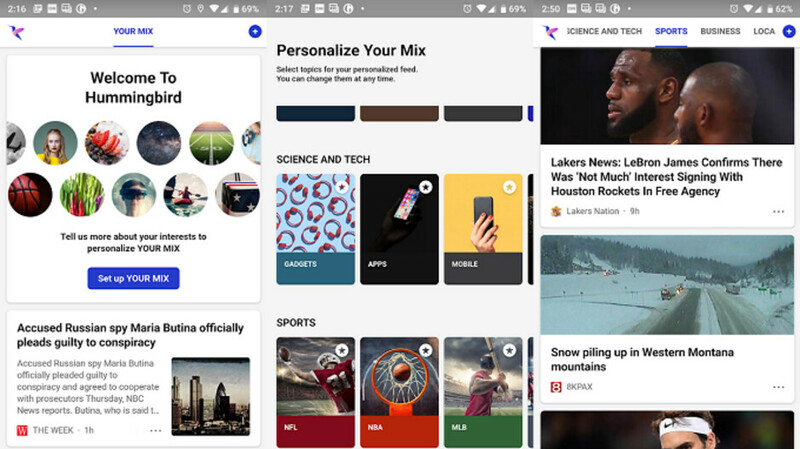 Unlike the already released Microsoft News app, which uses human editors to curate stories that are customized for you, Hummingbird depends on AI to disseminate stories that are of interest to you. Tapping on a particular story takes you to the source, but you are still inside the Hummingbird app and a tap on the "X" on the upper left corner takes you right back to the app's home page. Tapping on the hamburger menu on the right corner gives you the option to dislike a story, and can also block future articles from this particular source. According to Hummingbird's listing in the Google Play Store, "the more you use Hummingbird, the better it gets at searching and locating stories from across the web that you'll like—and avoiding ones you won't." Currently, the app is available for Android users only in the U.S. If you love checking the news 24/7, Hummingbird just might be your next favorite app.